Girl Scout Cookies and WINE? YES, PLEASE! Forget about your New Year’s Resolutions for weight loss and fitness and overall health, people. And blame the Girl Scouts while you’re at it. Those little angel-faced, cookie-peddling Pollyannas come around just as we’re all hitting a plateau in our plans and BAM! Cookie season is here. As it is my duty as a connoisseur of cookies and an expert at drinking wine*, I have chosen my favorite WineShop at Home wines to pair with my favorite Girl Scout Cookies. You’re welcome. First up, we have our Petit Cadeau Semi-Seco sparking wine paired with Trefoils. The Petit Cadeau is a slightly sweet sparkling wine, but not too sweet. There are fruit hints like apple and pear making it a nice balance with the not-so-sweet of the shortbread Trefoil. Then there comes the citrus duo Savannah Smiles and Adagio Sauvignon Blanc. The Adagio Sauvignon Blanc carries heavy citrus notes of lemon and grapefruit, which will pair nicely with the lemon flavors of Savannah Smiles. It might be a little too much punch for your pucker if you’re not keen on lemon, so keep that in mind. As far as Sauvignon Blancs go, this one’s pretty fab. 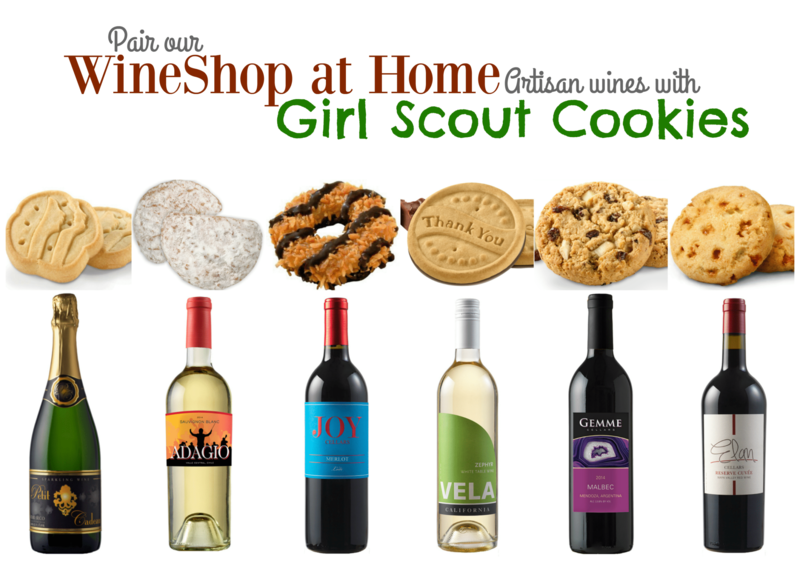 My very favorite pairing on this entire list is our Joy Merlot and SAMOAS, the greatest Girl Scout Cookie ever sold. As I understand it, the Girl Scout Thank You Cookies aren’t available in every market. BUT! They’re shortbread with fudge, so Fudge Stripes, people! Put those on your plate and pour yourself a glass of our Vela Zephyr, an off-dry white table wine with notes of citrus and fruit. Off-dry is a fancy way of saying this isn’t too dry and it isn’t too sweet. It’s just right. Like the cookies. The Gemme Malbec can cellar for 5 to 6 years, so that’s plenty of time for you to come around on raisins. Finally, our Elan Reserve Cuvée, a Cabernet Sauvignon blend, is a very intense red. Very intense. Very delicious. (It’s Dan’s favorite.) The toffee from the Toffee-tastic Girl Scout Cookie is a great way to bring out the caramel and lighter notes of this wine while still getting to experience the fullness of its flavors. If any of these terms have you worried, don’t. Let go of that. Because here’s the thing about pairing food and wine. Some of the combinations will be awful while others will be amazing. You’ll learn what you like and it’s really okay if no one else does. Your experience with wine (and cookies!) is not about anyone else’s experience. Now if you’ll excuse me, I’ve got to find a Girl Scout. ASAP. And my FedEx lady. *When I say I’m an “expert wine drinker” I’m being mostly facetious. I do know a few things about how to drink wine, but I’m not a wine expert. Not by a long shot. 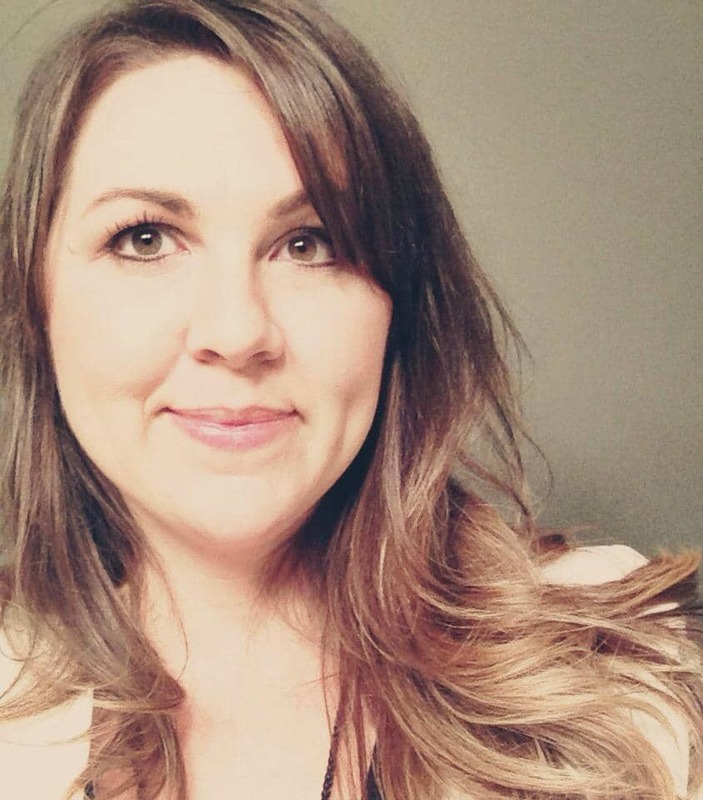 I just know what I like and I’m happy to help others find what they like, too. And that first wine? Apple? Pear? Sounds like what I need. Get it, girl!!! You’re welcome. 😉 A yummy looking, great post!